For additional information on the research grant program, please contact Dianne Rios at d.rios@nwmito-research.org. One distinguishing feature of kids with Leigh Syndrome is their sensitivity to anesthetics. We have developed a genetic mouse model the mimics all of the symptoms of Leigh Syndrome – including sensitivity to a common anesthetic, isoflurane. We propose to determine whether the mice are sensitive to other classes of anesthetics and to elucidate the cellular and molecular mechanisms that underlie anesthetic sensitivity. Description: Mitochondria are populous cellular constituents that convert food to a chemical form of energy that is used to power the cell. The accumulation of damaged mitochondria is believed to underlie many common aging-related diseases, and the inheritance of damaged mitochondria can result in debilitating neuromuscular disorders. The goal of our work is to identify cellular factors that can selectively detect and eliminate damaged mitochondria such that they can be replaced with healthy mitochondria. Knowledge of these cellular factors could ultimately lead to the development of therapeutic strategies to treat the many diseases in which an accumulation of damaged mitochondria is implicated. Development of a Cost-Effective Next-Generation Sequencing Test for Mitochondrial Disorders and Proficiency Testing for Quality Control. Description: Mitochondrial function is maintained by the action of proteins encoded in both nuclear and mitochondrial DNA (mtDNA). Because of this dual genetic control, mitochondrial disease can be caused by mutations in mtDNA or nuclear genes. 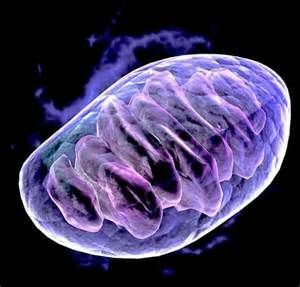 About 170 nuclear genes have been found to be mutated in patients with mitochondrial dysfunction and are responsible for the majority of pediatric cases. Comprehensive sequencing of all genes already known to be involved in mitochondrial disease would be cost-prohibitive with traditional DNA sequencing technology. We plan to develop a cost-effective test utilizing a new DNA sequencing technology. We believe that this will enable a widespread implementation of this powerful new clinical test for the rapid diagnosis of mitochondrial disease. The additional important value of the test is that, once mutated genes are identified, individualized therapeutic intervention can be more readily devised. Description: Mitochondria are the powerhouses of the cell. Defects in this powerhouse underlie many maladies, some of which are found in children and can impact normal development. Our goal is to develop methods that diagnose these defects using a clinical MRI machine. Our hope is that early diagnosis using these new methods will identify affected children at a time when treatment can have the maximum benefit. Description: Reactive oxygen species (ROS or free radicals) may be produced at an increased rate when the mitochondrial electron transport chain (ETC) is defective. These ROS may lead to further damage of the ETC and begin a downward spiral in the disease state. We intend to determine the effectiveness of exogenous ROS scavengers, such as Coenzyme Q10 (Ubiquinone), in treating mitochondrial disease. The results will help guide the use of these agents in the treatment of patients with defects in different parts of the ETC.